The Egg Chair and Footstool are a pair of sculpted furniture pieces shaped to respond to the human body. Designed by Arne Jacobsen in 1958 as the signature element of his collection for the lobby of the SAS Royal Hotel in Copenhagen, the Egg Chair can adjust for privacy and comfort by tilting and swiveling its upholstered foam shell around an aluminum base. 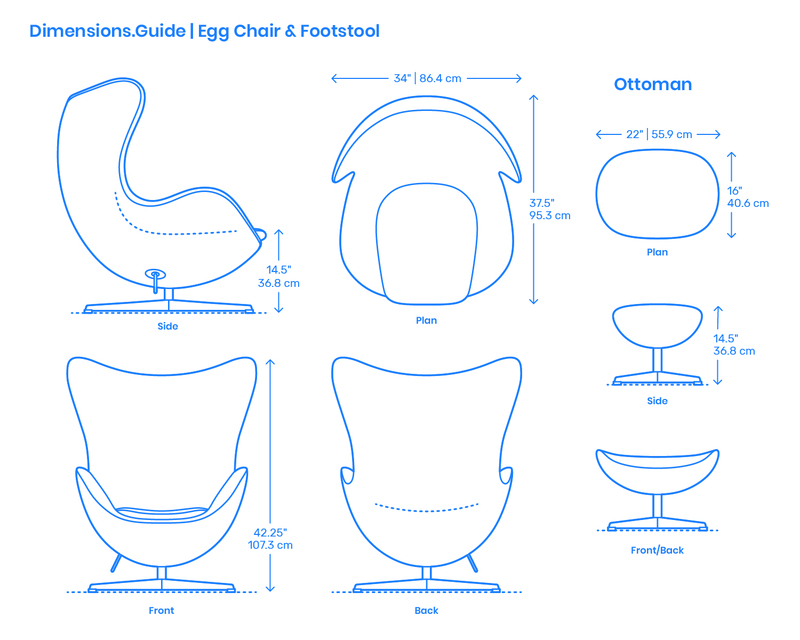 The Egg Chair measures 34” | 86.4 cm wide, 37.5” | 95.3 cm deep, has a back height of 42.25” | 107.3 cm, and a seat height set at 14.5” | 36.8 cm. The paired Footstool is 22” | 55.9 cm wide, 16” | 40.6 cm deep, and 14.5” | 36.8 cm high.